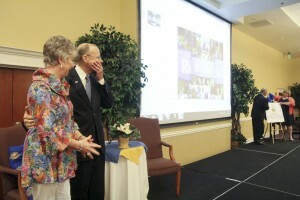 Following more than 45 years of service and countless speeches as a Mulerider, Southern Arkansas University’s retiring President Dr. David Rankin and his wife Toni were rendered speechless in May when they found out the University’s College of Business would be renamed the David F. Rankin College of Business. The announcement was made at a dinner honoring the retiring president and first lady. 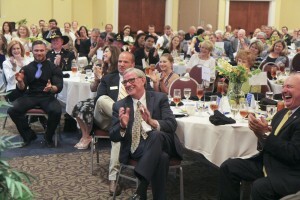 More than 250 people gathered for the event, which was emceed by Senator Bruce Maloch. 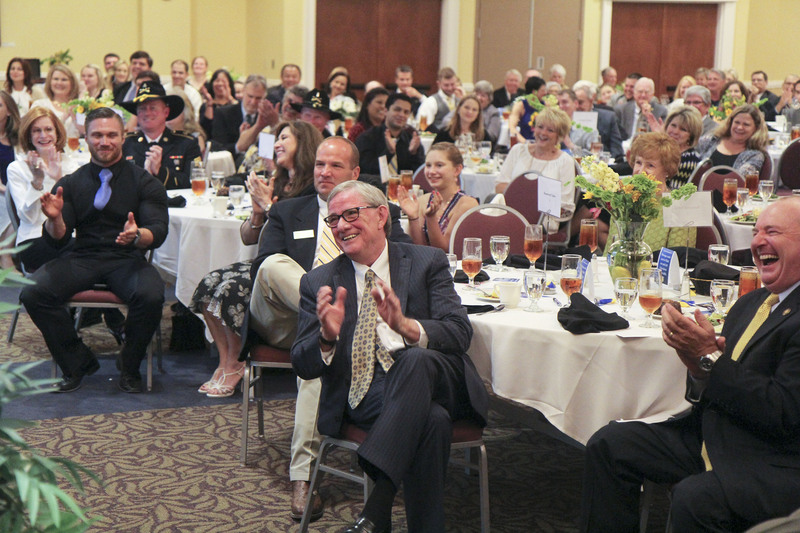 A series of heartfelt tributes were given by close friends and respected peers, which included video messages from Governor Mike Huckabee, Governor Asa Hutchinson and Senator John Boozman. SAU icon Louis Blanchard opened the evening with his reflections of Rankin’s arrival at the University in 1968. Former Rankin student Jim F. Andrews, vice president, general counsel, and secretary for Deltic Timber, shared with the crowd how Rankin played an instrumental role in Andrews’ decision to choose SAU and how they have stayed close for 33 years. 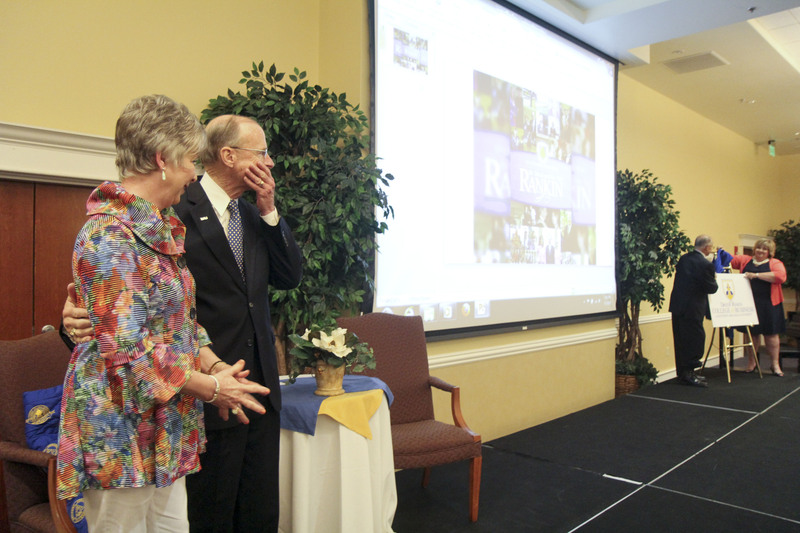 College of Business Dean Lisa Toms got choked up as she gave Rankin credit for not only countless achievements during his tenure as dean, but also for his inspiration that helped her earn a Ph.D. and become dean herself. Current student and SAU President’s Ambassador Caleigh Moyer concluded the tributes with a touching speech. 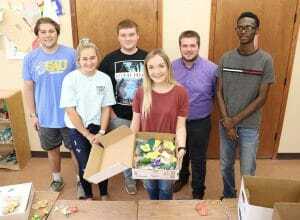 The idea for the David F. Rankin College of Business campaign began with the late Board of Trustees Chair Bill Stringfellow, according to Josh Kee, assistant vice president for Development. After Rankin’s retirement announcement in the summer of 2014, Stringfellow began to ponder how to honor Rankin in a meaningful way. He shared his idea with Kee and incoming President Dr. Trey Berry, then went to the Board of Trustees and received their approval. permanent donor wall recognizing all the donors to the campaign will be installed later this summer. Proceeds from the endowment will provide scholarships, classroom enhancement funds and travel opportunities for students and student groups. The University has received pledges and gifts totaling more than $790,000 to date. Those interested in joining the effort to honor Dr. Rankin may contact Kee at (870) 235-4321 or JoshKee@saumag.edu. Rankin’s last day as president was June 30 after serving SAU for 45 years with the past 13 as president. 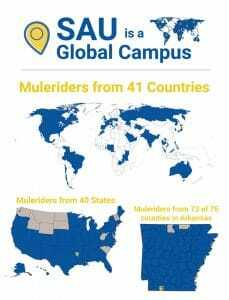 In 2002, he set forth with his ambitious “Blue and Gold Vision,” SAU’s first capital campaign. He has almost completed that vision with numerous campus capital projects completed, totaling more than $100 million. 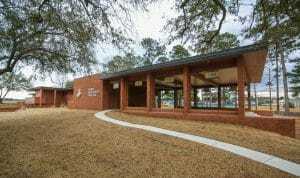 The most recent project, the $4.4 million SAU Story Arena and Farmers Bank Reception Center, opened this spring. 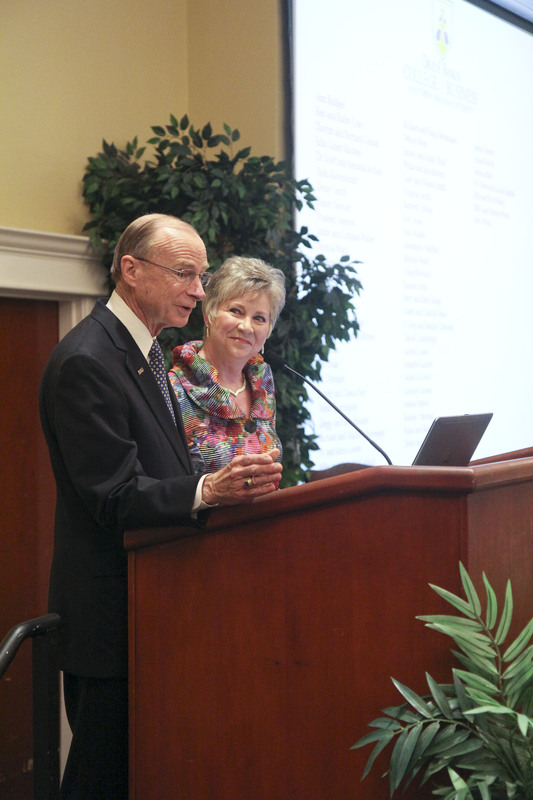 The SAU Board of Trustees has given Rankin the title president emeritus. From his new office in the David F. Rankin College of Business, he will assist the University in matters related to economic development and might even return to the classroom from time to time.